Norah Elsie Claybourn was born 16 December 1874 to James and Harriet Claybourn at Snow’s Mill, near Dix, Illinois. She worked in a millinery store and in the office of the Jefferson Milling Co. for two years. Then Norah married (1st) on 25 October 1905 to Edward Heiserman. [Edward Heiserman was born in 1866 in Tennessee.] He was First Lieutenant of Company K of the 9th Illinois Volunteer Regiment in 1898 in the Spanish American War. During that conflict he served in Cuba and contracted an illness which affected his health the rest of his life. After the war Ed was in a confectionery business with his brother Frank in Mt. Vernon, but left with four other young men to go into the newly opened Oklahoma territory. He did not get any land in the famous “run” which took place there, but he did go into business in booming Oklahoma City. He operated an ice cream and candy store there until his death on 2 April 1914. Norah and Ed had one child, listed below, who lived for less than a month. Norah and Elvis traveled extensively after he retired as a Pullman Conductor on the Frisco Railroad from Oklahoma City to St. Louis. They visited all parts of the West and spent several winters in Florida. They owned several pieces of Oklahoma City property. They were active in the First Methodist Church in Oklahoma City, where Norah was a member beginning in about 1905. They were also active in the couples class and its activities. For a number of years Norah and Elvis served as clerks in elections, permitting the use of their garage as a polling place. During World War II Elvis “did his bit” by delivering telegrams, by foot, in the downtown area. After his death, Norah moved to McKinney, Texas, to be near her sister Libbie and her niece and nephew. She lived at 804 N. Waddill, McKinney, Texas. Norah died on the 22nd day of September in 1963 and is buried in Mt. Vernon, Illinois. 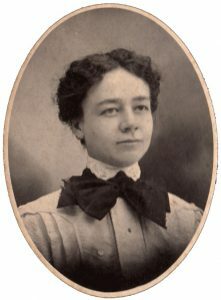 Lena Frances Heiserman was born on 17 July 1908 in Oklahoma City and died shortly thereafter on 25 July 1908. Lena is buried in Oakwood Cemetery in Mt. Vernon, Illinois, near her father Ed.